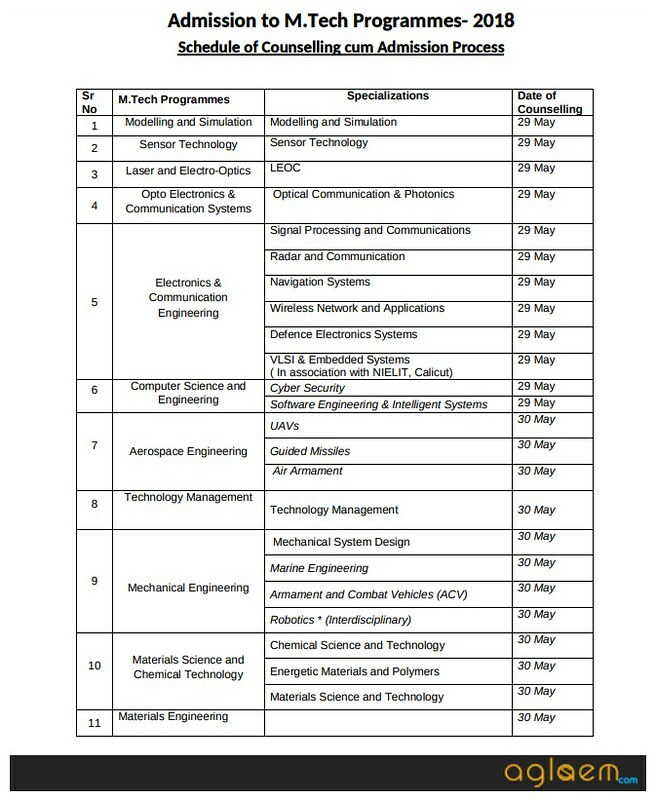 Defence Institute of Advanced Technology (DIAT) has released the notification for the eligible candidates for admission to the Ph.D. programme for the July 2019 Session. 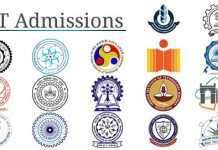 Candidates can get detailed admission schedule of DIAT Pune Admission 2019 along with other related details about courses, eligibility criteria, fee details etc on this page given below. Defence Institute of Advanced Technology (DIAT) is Technological Institute of National repute for higher learning. The Institute imparts education and training in Advanced Technologies used for Tri-services, DRDO, DPSUs etc. DIAT found its roots in 1952, as a training institute has grown over the years into a premier teaching and research institute for DRDO and the Armed Forces. The main focus of the institute is to evolve as an Innovative Unique Research University to develop indigenous contemporary defence related technologies and also to provide technological solutions to the Services. DIAT is committed to generate high quality and talented human resource in broad areas of Defence Technologies to cater the needs of DRDO, Armed Forces and other Defence establishments. 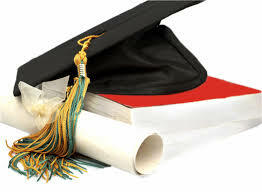 Latest: The online application form for DIAT Admission 2019 for Ph.D. (July) has released. DIAT offers admission to PhD (full-time) in the frontier areas of Aerospace Engineering, Mechanical Engineering, Electronics Engineering, Computer Science & Engineering, Applied Physics, Applied Mathematics, Materials Engineering and Applied Chemistry. Limited few Institute Fellowships are available. Eligible candidates can now fill the application form for DIAT Pune Ph.D Admission 2019. Application form will be available at Institutes website www.diat.ac.in. Candidates must send their application form before or on last the date, otherwise, his application form will not be accepted. Before going to apply candidates must ensure their eligibility criteria. Apply Online: Click Here to apply online for DIAT Admission 2019 for Ph.D. (July). The Institute shall implement the reservation policy in Ph.D. admission in accordance with the relevant act of Parliament being in-force from the time. SC/ST/OBC as also a PWD candidate. Candidates have to apply online through the website, www.diat.ac.in. The application fee is required to be paid either online (through State Bank Collect) or by Demand Draft drawn in favor of Vice Chancellor, DIAT, Pune, payable at Pune. The application has to be uploaded as per the instructions provided in the website, http://www.diat.ac.in. A print out of the application, acknowledgment generated by the system after upload of application, has to be forwarded in a sealed envelope, superscribed “Application for Admission to PhD Programme in the Department of ______” to the Joint Registrar (Academics), Defence Institute of Advanced Technology, Pune 411025 along with online generated receipt / Demand Draft and self certified copies of mark lists, certificates and other testimonials. These documents should reach DIAT latest by the last date (Through Speed Post only). Postal delay will not be entertained. The application will be processed only on receipt of the acknowledgment with online generated receipt / Demand Draft. Also, Candidates seeking admission to more than one Department need to apply separately. (Fellowship) cut off will be decided by DIAT. b) A candidate who is a recipient of National Doctoral Fellowship or other fellowships from government / semi-government organization such as Council of Scientific and Industrial Research (CSIR), University Grants Commission (UGC), INAE, All India Council for Technical Education (AICTE), Department of Science and Technology (DST), Dept. of Biotechnology (DBT), Defence Research and Development Organization (DRDO), Department of Atomic Energy (DAE) and similar organizations. Age Limit: Not above 30 years as on July 01,2019. Relaxations as per GOI rules apply to SC / ST / OBC / PH applicants. Since the applications may be short listed, mere possession of the prescribed qualifications would not entitle a person to be called for test/interview. The Institute may restrict the number of candidates to be called for test/interview to a reasonable limit, on the basis of qualifications/marks higher than that of the minimum prescribed in the advertisement. For shortlisting of candidates, the department screening committee may decide subject-wise and category wise GATE/NET Cut off. Application once made will not be allowed to be withdrawn and fees once paid will not be refunded on any count nor can it be held in reserve for any other admission process. Canvassing in any form will be a disqualification. Postal delay shall not be entertained. No correspondence will be entertained in respect of advertisement, interview, selection etc. The list of Shortlisted candidate will be displayed on http://www.diat.ac.in website along with other information viz. date of Interview / Written Test / Result. The candidates are requested to check the DIAT (DU) Website www.diat.ac.in for related information from time to time. semester (for Gen & OBC) and @ Rs. 15,000/- (for SC & ST) payable immediately on joining and a caution deposit (refundable at the end of the Programme less dues if any) of Rs. 10,000/-, commencing from July 2019. For more details of DIAT Pune Admission 2019 for Ph.D. Programme, Download following documents. Defence Institute of Advanced Technology (DIAT), Deemed University (DU), contributes significantly in the sphere of Human Resources Development for the Defence Forces by way of imparting education and training on Defence Technology to the officers of Armed Forces, Scientists of the DRDO, Technical Officers of the Ordnance Factory Board, Directorate of Quality Assurance, Public Sector Undertakings, General Public and friendly foreign countries. Schedule for DIAT Pune Admission 2019 for M.Tech is given below. Eligible candidates can apply for DIAT Pune M.Tech Admission 2019. Application form is available at Institutes website www.diat.ac.in. Candidates must send their application form before or on the last date, otherwise,her/his application form will not be accepted. Before going to apply candidates must ensure their eligibility criteria. Click here to signup for DIAT Pune M.Tech Admission 2019. Click here to login for DIAT Pune M.Tech Admission 2019. Note: The application fee can be paid online or by Demand Draft drawn in favour of Vice Chancellor, DIAT, payable at Pune. The application fee is non-refundable. Candidates have to apply online, as per the instructions, mentioned in the admission notice. Application fee is required to be paid through online or by Demand Draft drawn in favour of Vice Chancellor, DIAT, Pune, payable at Pune. The application has to be uploaded as per the instructions provided in the admission notice/website. A print out of the application acknowledgement generated by the system after upload of application has to be forwarded in a sealed envelope super scribed the name of M. Tech Program to the Joint Registrar (Academics), Defence Institute of Advance Technology, Pune 411025 along with the DD drawn/proof of online payment and with the self certified copies of mark lists, certificates and other testimonials. These documents should reach DIAT latest by the prescribed date in the admission notice, to be published every year. Application will be processed only on receipt of the acknowledgement with DD/proof of online payment. Also, candidates seeking admission to more than one program (specialization) need to apply separately. Educational qualifications as per DIAT norms. Valid GATE score (only for civilian scholarship students). Valid IELTS band score of 7.5 or more. Any other eligibility criteria (if not mentioned here) will be governed by the existing norms of DIAT and CU. Age limit: Not more than 26 years as on 01 July 2018. Relaxations as per GOI rules. Age limit:- 1 Not more than 26 years as on 01 July 2019. 2. Relaxations as per GOI rules apply to SC / ST / OBC / PH applicants. Note:- The Eligibility conditions and selection process for admission to M.Tech in Technology Management under self Financed Category shall be same as prescribed for the Scholarship Category. Note: – Sponsored candidates are exempted from qualifying GATE requirement and there is no age limit. DIAT follows the reservation policy of Govt. of India as applicable to Higher Educational Institutions for reservation of seats for SC, ST, OBC and PWD candidates. Can we apply for DIAT after completing Btech Marine Engineering…. ?